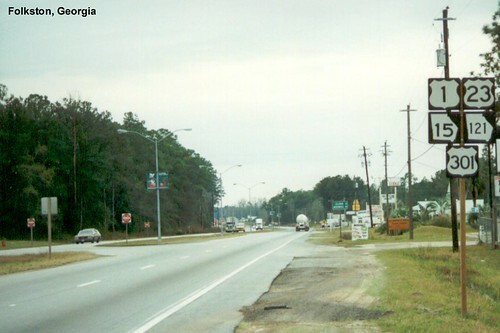 US 1 and US 25 leave South Carolina and enter Georgia at Augusta. US 1 in Blythe, Georgia. 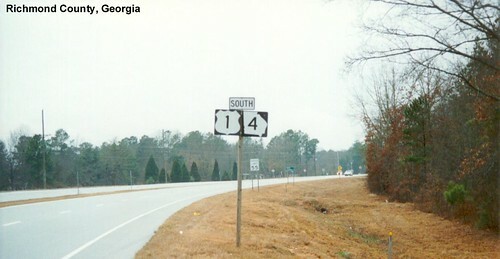 Unusual for Georgia, we see a US 1 shield without its corresponding state highway shield. US 1 passing through Lyons. 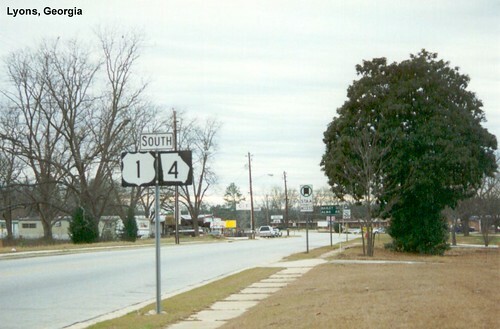 The US 1 junction with GA-15 in Baxley. 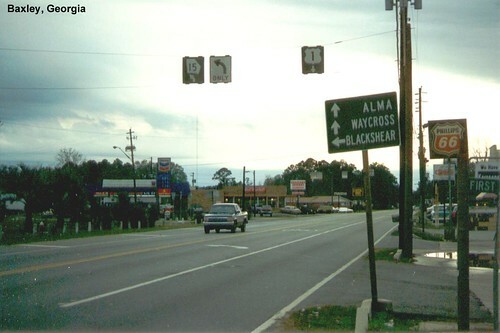 US 1 is multiplexed with US 23 in Waycross. US 1 becomes a four-lane divided highway. Since I photographed this section of road when driving both US 1 and US 23, I have a few extra pictures of US 1 in Waycross. 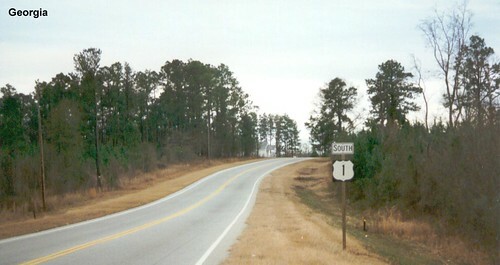 US 1 cuts a wide swath through a pine forest as it heads toward Folkston. We see a rather large sign assembly as we drive through Folkston.